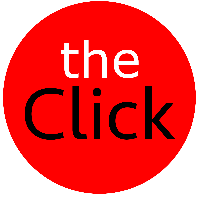 The Click – Page 1119 – Photojournalism, Photography, Art, Culture. The Best Links, The Coolest Stories. CrunchGear » Archive » Canon 5D Mark II, apparently, not being announced: ” pma will not bring a new 5d body…..
New Statesman – Art attack: “The phone rings; the number is withheld. It’s Banksy. He wants to know whether I can go to Bethlehem over Christmas. He is putting on an exhibition, bringing together like-minded artists from all over the world to raise awareness of the situation in Palestine. Like the annual guerrilla art shows that have taken place in London for the past six years, it will be called ‘Santa’s Ghetto’. Two weeks later, I find myself involved in an experience that transforms my ideas about what artists can do in the face of oppression. We are living through an exciting time for political art. I have been an artist for 40 years, and my work has always focused on political and social issues. In the 1970s, I started making photo montage work, drawing on imagery from the Vietnam War and the row over nuclear armaments (a retrospective opens at the Pump House Gallery this month). Since the build-up to the Iraq War in 2002, I have been collaborating with a younger artist, Cat Picton Phillipps, developing new techniques and using digital technology to expose the lies that led to the invasion and the subsequent humanitarian disaster. The Video Game May Be Free, but to Be a Winner Can Cost Money – New York Times: “In a major departure from its traditional business model, E.A. plans to announce Monday that it is developing a new installment in its hit Battlefield series that will be distributed on the Internet as a free download. Rather than being sold at retail, the game is meant to generate revenue through advertising and small in-game transactions that allow players to spend a few dollars on new outfits, weapons and other virtual gear.